Museums promote cultural experiences through exhibits and the stories behind them. Nevertheless, museums are not always designed to engage and interest young audiences, especially teenagers. 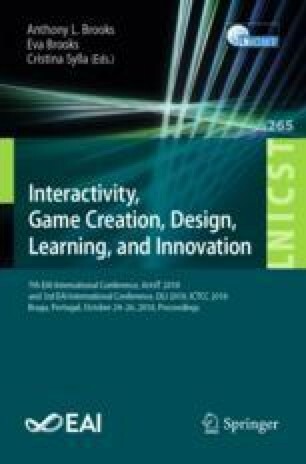 Throughout this paper, we discuss teenagers as an important group to be considered within the Children-Computer Interaction field, and we report some techniques on designing with teens, in particular, arguing that participatory design methods can involve teenagers in the design process of technology for museums. For this purpose, we conceptualized, designed and deployed a co-design activity for teenagers (aged 15–17), where teenagers together with a researcher jointly created and designed a medium fidelity prototype. For this case study, participants were divided into groups and invited to think and create games and story plots for a selected museum. All the prototypes were made by the participants with the support and guidance of the researcher and the Aurasma software, an augmented reality tool.